Acer Aspire U27 is a new all-metal chassis with a diamond cut metal stand All-in-One PC. 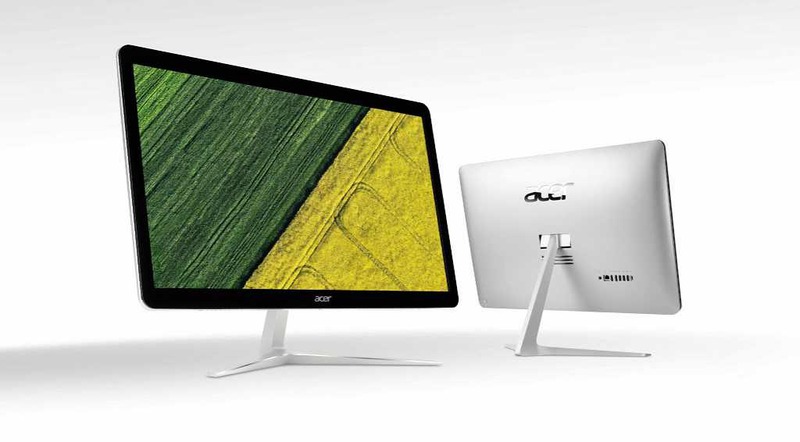 The new Acer Aspire U27 is a liquid-cooled and fanless all-in-one desktop. The new liquid-cooled system referred to above is Acer’s proprietary fanless cooling system, that allows the PC to cool itself without being overly noisy. The new Acer all-in-ones U27 desktop also supports Windows Hello logins with an IR camera. The built-in 27-inch screen is 1080p, and an HDMI input for using the screen for non-PC purposes. AIO supports new-generation Intel Core processors, up to 32GB of RAM, and Intel Optane Memory as a hard drive cache. The U27 should ship in July. The machines will start at $1,099.